iPhones are amazing phones to you until when it freezes is when you feel like dumping it. When you iPhone freezes you will not be able to message, or receive calls or any kind of action on your iPhone. This means that you look for an immediate way to unfreeze your iPhone. Why does my iPhone keep freezing? There are various possible reasons that result to iPhone freezing and we have highlighted below. Older iOS version. When you are running an older iOS version, you need to update it latest version. Latest version always has a fixed bug on the latest iOS version. Low internal memory. A low memory space may cause your iPhone to freeze since it cannot work properly. If you overwork your iPhone it will get hot and this may lead to iPhone freezing. Having many apps on your iPhone running on your iPhone is also another factor. Therefore, when you are not using an app ensure that you close it. 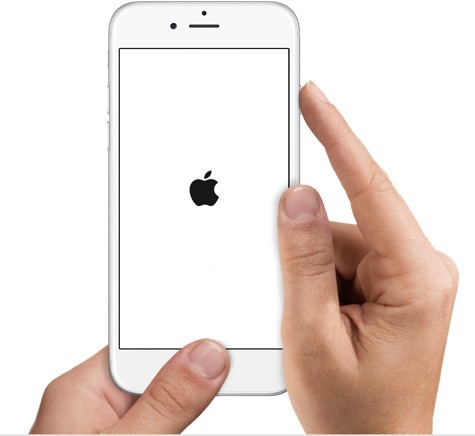 In this article we will show you several ways in which you can unfreeze an iPhone. An immediate way to unfreeze your iPhone is performing the hard reset. Hold the “sleep/wake” button on your iPhone and the “Home” button simultaneously for 10 seconds until an Apple logo appears on the screen. The iPhone will restart back to normalcy. Alternatively, you can opt for a third party software to avoid restoring your iPhone. 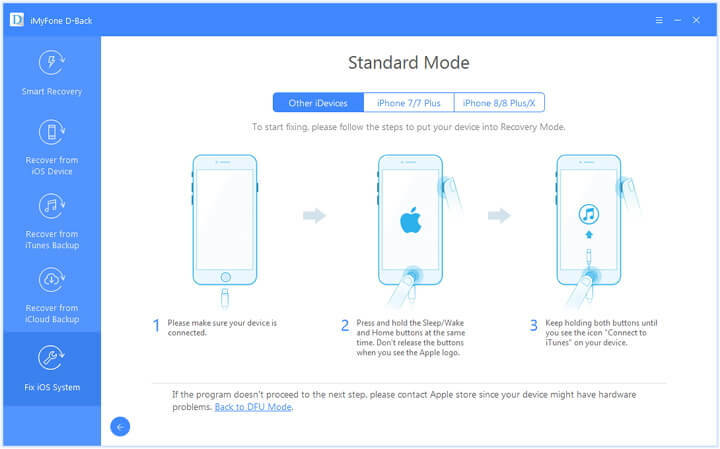 You can use iMyfone D-Back iPhone data recovery Win or iPhone data recovery Mac software that has a “Fix iOS System” functionality. This software will fix and repair your iPhone, iPad but also iPod that are bricked on Apple logo, black screen and white screen. Other than fixing iOS devices this software is also equipped with other features. 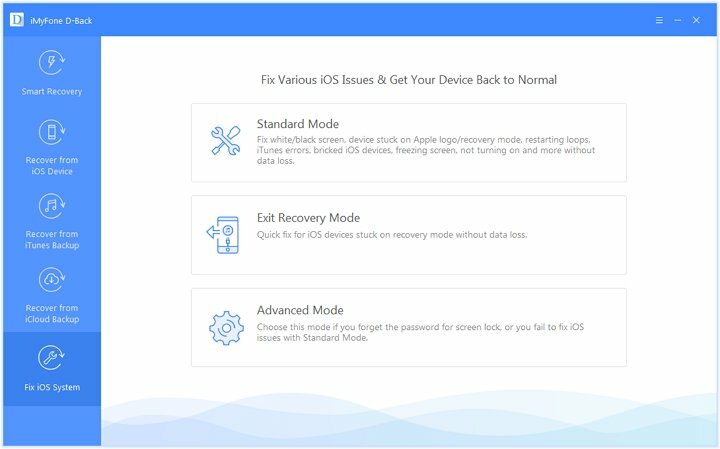 Repair your iOS to normal when your device is stuck in white screen, black screen, Apple logo, recovery mode etc. 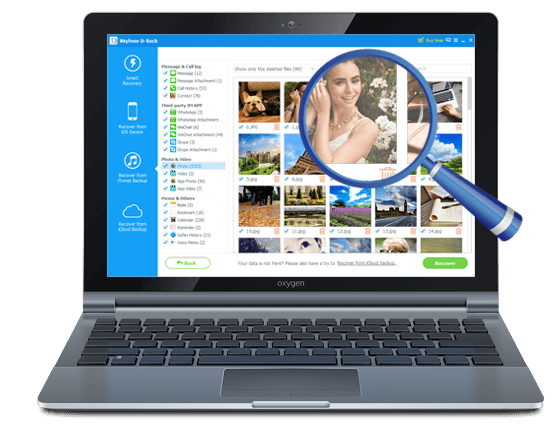 It can restore missing files on your iOS such as Videos, Audios, Photos, Photo Apps, Skype History, Kik messages, Wechat Messages, Memos and much more. It supports any data loss scenario like broken device, damaged device, jailbreak issues, factory reset, iOS upgrade, or a device that you have forgotten lock screen password. It supports multiple devices like iPhone SE, iPhone 6s, iPhone 4, iPhone 5, iPad Mini, iPad Air, iPad Pro and iPod Touch 5 just to mention a few. To unfreeze iPhone using iMyfone D-Back software, we need to install this software on computer. After that you should launch it and follow these steps. After that you will move to a new window. Here you will have to download a firmware that is suitable to your iPhone. iMyfone D-Back will do that for you, and all you need to do is to click on “Download” button. 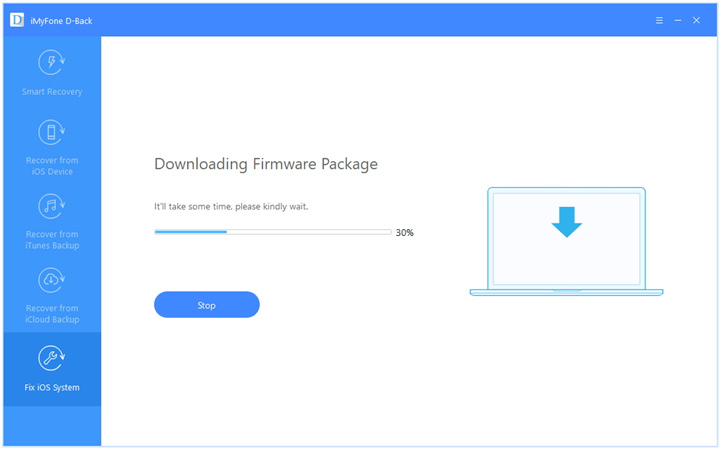 Wait for the firmware to be downloaded before moving to the next step. When the firmware is downloaded, the program will now begin fixing your iPhone. Once it done fixing your iPhone will restart. From there you can set up your iPhone. Wow! How fast is it. The beauty of iMyfone D-Back iPhone data recovery Win or iPhone data recovery Mac is that not single data will be lost during the fixing process.